He wasn’t wrong, it is quite huge as the below 4 images will show. I am convinced that the further away humanity gets from her own planet, the more beautiful it gets. In that vein, I give you 4 images. Ranging from a couple of feet above the planet to 3.7 billion miles away. Three of the four are famous images. It is said that two of them helped start they environmental movement in the late 60s. From Friends of the Earth to the Whole Earth Catalog. The final image is more of philosophical look at the planet. 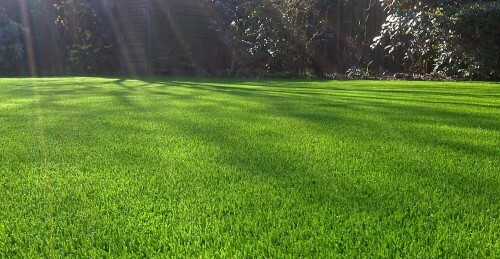 The first image in this list is of a garden, an image that is familiar to many of us. Nothing special, like how many of us feel about the planet. 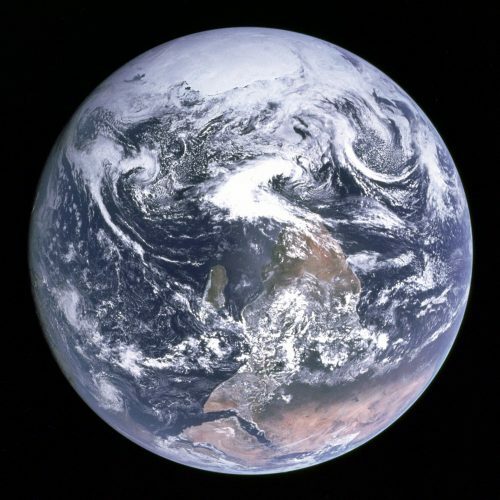 Now let’s move away from the surface of the planet by 28,000 miles and back 42 years. In early December of 1972, the Apollo 17 crew were on the way to the moon. This mission was the last time man landed on a different celestial body. An ending of a glorious 3 years in mankind’s ambitions to investigate and explore. The next one, we have to go back another 4 years, to the first manned mission to the Moon. With Apollo 8, we first had a good look at “home”. It was described by Nature photographer Galen Rowell as “the most influential environmental photograph ever taken.“. Looking at it, you can agree. It’s such a simple image but it shows so much about many things. Loneliness of a long voyage, hope, peace, a planet without borders or troubles. It was an image that was nearly never taken. The Apollo 8 spacecraft had already made 3 orbits of the moon, taking photographs of its surface for both planning the landing sites for the missions that were to land on the surface as well as for astronomers to see more that we ever did before about our sister. Anders: Oh my God! Look at that picture over there! There’s the Earth coming up. Wow, is that pretty. Anders: (laughs) You got a colour film, Jim? Lovell: Oh man, that’s great! Without Anders looking out of the window at the correct time, we would have never had got such an amazing show of the planet. 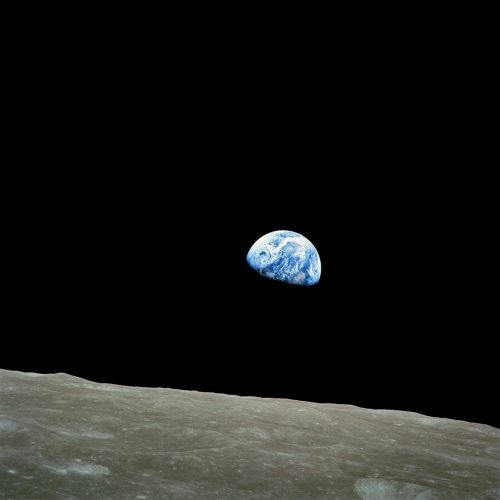 The name given to that image was Earthrise [ a much better name than AS8-14-2383] and is still as amazing today as when it was taken 46 years ago. For the final image, we have to jump forward in time to 1990, only 24 years ago, when the final shot of the planet was taken. This time from quite a distance away – 3.7 billion miles, 40AU or 6 billion kilometres. What does that image mean? It meant quite a lot to Sagan as he related his thoughts in his 1994 book, one that used that name as the title of his 1994 book, Pale Blue Dot: A Vision of the Human Future in Space. The Earth is the only world known, so far, to harbour life. There is nowhere else, at least in the near future, to which our species could migrate. Visit, yes. Settle, not yet. Like it or not, for the moment, the Earth is where we make our stand. It has been said that astronomy is a humbling and character-building experience. 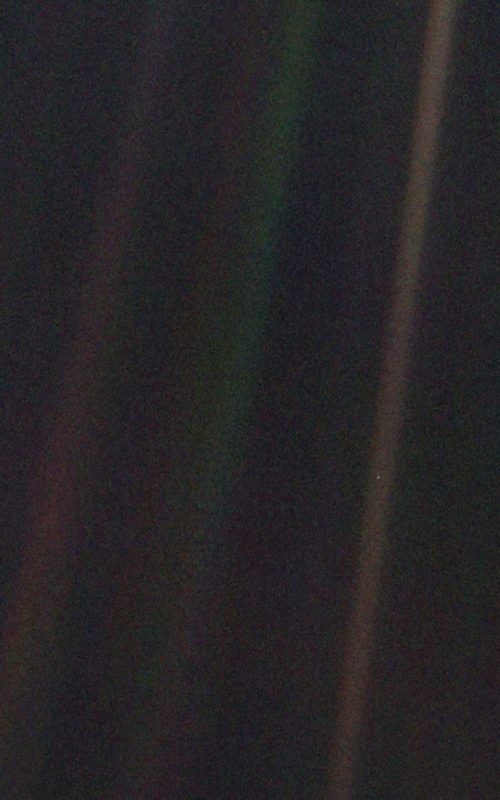 There is perhaps no better demonstration of the folly of human conceits than this distant image of our tiny world. 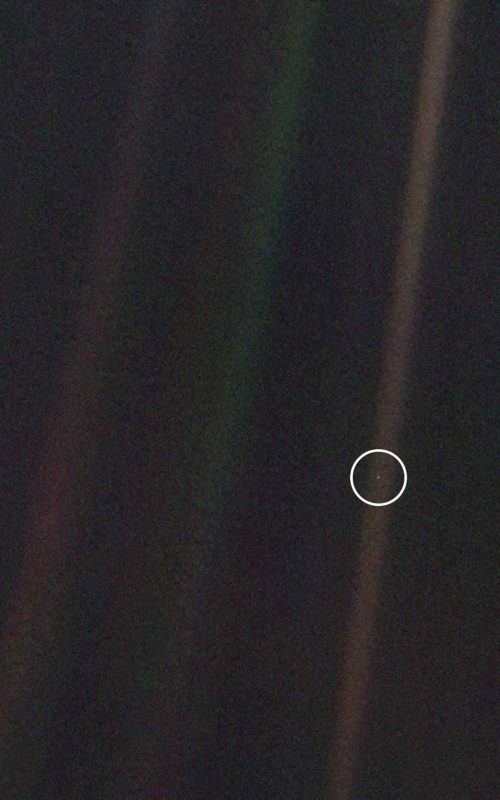 To me, it underscores our responsibility to deal more kindly with one another and to preserve and cherish the pale blue dot, the only home we’ve ever known. From the Atlantic to the Moon.